I read of a recent study on how to improve Florida’s reputation as the deadliest state in the nation for cycling deaths. Like so many others, it seemed to put the biggest emphasis on changing the behavior of cyclists, rather than on drivers who are actually driving the vehicles which inflict the harm. 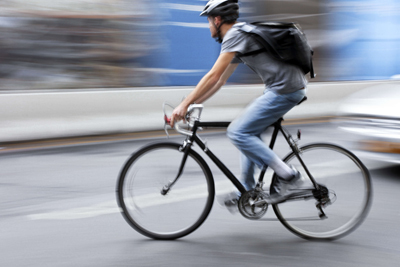 One interesting aspect of the study was self-reported behavior of cyclists and drivers. It may come as a surprise to our driving brethren, that in this study, they admitted violating traffic laws at about the same percentage as cyclists. Yet, not surprisingly, the majority of the recommendations for safer streets in the study centered on cyclist education. In a massive study of some 18,000 people, Professor Wesley Marshall of the University of Colorado reached very similar conclusions. Drivers and cyclists obey the law at roughly the same percentages. The conduct of one is not significantly different than the conduct of the other. Interestingly, the study revealed cyclists were acutely aware of the dangers surrounding them and frequently reported they violated the rules in order to enhance their own safety, such as negotiating poorly designed infrastructure. Scofflaw bicycling: illegal but rational, The Journal of Transport and Land Use, Vol. 11, No. 1 (2018) PP 1-31 by Wesley Marshall and others. Another article noted these eye opening results: “Among people who drive, nearly 100 percent said they exceed the speed limit, text behind the wheel, or break other laws; 98 percent of people who walk admitted to disregarding pedestrian signals; 96 percent of people who bike said they disregard stop signs and traffic lights.” Streetblog (www.streetblog.org) Busting the Myth of the “Scofflaw Cyclist” by Angie Schmidt, March, 16, 2017. In my view, one of the issues concerning cyclist obedience to traffic rules is that when we break the rules it is very obvious to nearby motorists; the most common being our failure to stop at stop signs and traffic lights. When we do so, it instantly feeds into the preconceived bias by drivers that as a group we disregard traffic laws. It isn’t quite so obvious when a driver is speeding, driving drunk or drugged, putting on makeup, texting, casually talking to people in the backseat or generally being inattentive to the road ahead. These violations don’t catch everyone’s attention, yet they are extremely dangerous and more lethal than our rolling through a stop sign. When we openly disregard stop signs and stop lights we lose the moral high ground while encouraging the stereotype we should be trying to shake. I understand rolling through a stop sign in a residential neighborhood with no cars in sight. But that isn’t equivalent to blowing through a red light regardless of vehicle being present. Doing so makes us an easy target for “cycling safety campaigns” in the name of reducing injuries and deaths. I look forward to the day when traffic planners focus the majority of their attention on increasing awareness by drivers on how to safely share the road with us and the deadly consequences when they fail to do so.